The Indonesian Army (Indonesian: Tentara Nasional Indonesia-Angkatan Darat, TNI–AD), the land component of the Indonesian National Armed Forces, has an estimated strength of 476,000 active personnel The history of the Indonesian Army has its roots in 1945 when the Tentara Keamanan Rakyat (TKR) "Civil Security Forces" first emerged as a paramilitary and police corps. Since the nation's independence movement, the Indonesian Army has been involved in multifaceted operations ranging from the incorporation of Western New Guinea, the Indonesia-Malaysia Confrontation, to the annexation of East Timor, as well as internal counter-insurgency operations in Aceh, Maluku and Papua. The Indonesia Army is composed of a headquarters, 12 military area commands, a strategic reserve command KOSTRAD, a special forces command Kopassus, and various adjunct units. In the week following the Japanese surrender of 1945, the Giyugun (PETA) and Heiho groups were disbanded by the Japanese. Most PETA and Heiho members did not yet know about the declaration of independence. Command structures and membership vital for a national army were consequently dismantled. Thus, rather than being formed from a trained, armed, and organised army, the Republican armed forces began to grow in September from usually younger, less trained groups built around charismatic leaders. Creating a rational military structure that was obedient to central authority from such disorganisation, was one of the major problems of the revolution, a problem that remains through to contemporary times. In the self-created Indonesian army, Japanese-trained Indonesian officers prevailed over those trained by the Dutch. A thirty-year-old former school teacher, Sudirman, was elected 'commander-in-chief' at the first meeting of Division Commanders in Yogyakarta on 12 November 1945. At critical moments during the revolution, the military managed to manifest itself as a people's army, the army of the revolution, and the national army. As the power of the newborn, in addition to arranging the TNI itself, at the same time must also face various challenges, both from within and from abroad. From within the country, the military face-undermining undermining both a political dimension as well as military dimensions. Political undermining sourced from the communist groups who want to put the military under their influence through political officers, the Bureau of Struggle, and TNI community. While the challenges of domestic military dimension, namely the military face of armed upheaval in some areas and the PKI rebellion in Madiun and Darul Islam (DI) in West Java that could threaten national integrity. Challenges from abroad, namely TNI twice face the Dutch military aggression that had a more advanced weaponry. Aware of the limitations of the military in the face of the Dutch aggression, the people of Indonesia to implement the People's War in which all the power of the TNI and the community and resources were deployed to confront the Dutch aggression. Thus, the integrity and existence of the Unitary Republic of Indonesia has been able to be maintained by military force with the people. In accordance with the decision of the Round Table Conference (RTC), at the end of 1949 formed the United States of Indonesia (RIS). 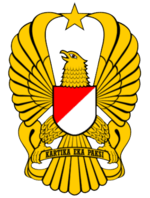 Correspondingly, also formed the Angkatan Perang Republik Indonesia Serikat (APRIS) which is combined with the TNI and the former KNIL as its core. 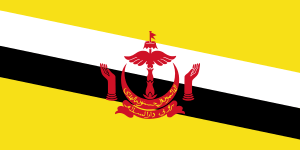 In August 1950 RIS was disbanded and returned to form unitary State. 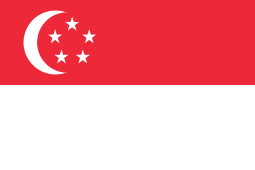 APRIS was renamed to Angkatan Perang Republik Indonesia (APRI). The period is also called the period of liberal democracy is characterized by various rebellions in the country. In 1950 most of the former members of the Colonial Army launched an uprising in Bandung which is known as the Legion of Ratu Adil / APRA uprising and was led by former KNIL officer Raymond Westerling. The army also need to confront the uprising in Makassar led by Andi Azis and the Republic of South Maluku (RMS) in Maluku. Meanwhile, DaruI Tslam in West Java widen its influence to South Kalimantan, South Sulawesi and Aceh. In 1958 the Revolutionary Government of the Republic of Indonesia / People's Struggle (PRRI / Permesta) started arebellion in large parts of Sumatra and North Sulawesi endangering the national integrity. All of the rebellion were crushed by the military along with the strength of other national components. On 17 November 1952, General Nasution is suspended as army chief of staff following army indiscipline over command and support that threatens the government. From the 1950s, the military articulated the doctrines of dwifungsi and hankamrata, a military roles in the country's socio-political development as well as security; and a requirement that the resources of the people be at the call of the armed forces. On 5 July 1959, Sukarno, with armed forces support, issued a decree dissolving the Constituent Assembly and reintroducing the Constitution of 1945 with strong presidential powers. He assumed the additional role of Prime Minister, which completes the structure of 'Guided Democracy'. At the same time, the Indonesian government started sending their troops on UN peacekeeping mission. The first batch of soldiers were sent to Sinai, Egypt and were known as Garuda Contingent 1. Garuda Contingent I sent on January 8, 1957 to Egypt. Garuda Contingent I consists of the combined personnel of the 15th Army Infantry Regiment Territorium (TT) IV / Diponegoro, as well as one company of the 18th Infantry Regiment TT V / Brawijaya in Malang. This contingent was led by Lt. Col. Infantry Hartoyo which was later replaced by Lieutenant Colonel Infantry Suadi Suromihardjo, while his deputy Major of Infantry Soediono Suryantoro. The contingent departed on January 8, 1957 with the aircraft Douglas C-124 Globemaster II of the United States Air Force for Beirut, the Lebanese capital. From Beirut the contingent was divided by two, the majority heading to Abu Suweir and partly to Al Sandhira. Furthermore, El Sandhira troops moved into Gaza, the border area of Egypt and Israel, while the command is in Rafah. This contingent returned to Indonesia in September 29, 1957.Garuda Contingent I had a total number of 559 troops personnel. The army was heavily involved in the Indonesian killings of 1965–1966. The killings were an anti-communist purge following a failed coup of the 30 September Movement. The most widely accepted estimates are that more than 500,000 people were killed. The purge was a pivotal event in the transition to the "New Order"; the Indonesian Communist Party (PKI) was eliminated as a political force. The failed coup released pent-up communal hatreds which were fanned by the Indonesian Army, which quickly blamed the PKI. Communists were purged from political, social, and military life, and the PKI itself was banned. The massacres began in October 1965, in the weeks following the coup attempt, and reached their peak over the remainder of the year before subsiding in the early months of 1966. They started in the capital, Jakarta, and spread to Central and East Java and, later, Bali. Thousands of local vigilantes and army units killed actual and alleged PKI members. Although killings occurred across Indonesia, the worst were in the PKI strongholds of Central Java, East Java, Bali, and northern Sumatra. It is possible that over one million people were imprisoned at one time or another. Sukarno's balancing act of "Nasakom" (nationalism, religion and communism) had been unravelled. His most significant pillar of support, the PKI, had been effectively eliminated by the other two pillars—the army and political Islam; and the army was on the way to unchallenged power. In March 1968, Suharto was formally elected president. The killings are skipped over in most Indonesian history books and have received little introspection by Indonesians and comparatively little international attention. Satisfactory explanations for the scale and frenzy of the violence have challenged scholars from all ideological perspectives. The possibility of a return to similar upheavals is cited as a factor in the "New Order" administration's political conservatism and tight control of the political system. Vigilance against a perceived communist threat remained a hallmark of Suharto's thirty-year presidency. The CIA described the massacre as "one of the worst mass murders of the 20th century, along with the Soviet purges of the 1930s, the Nazi mass murders during the Second World War, and the Maoist bloodbath of the early 1950s." Later army operations have not been without controversy; it has been periodically associated with human rights violations, particularly in West Papua, East Timor and Aceh. The size of the Army has expanded over the years; in July 1976 the Army was estimated to consist of solely 180,000 personnel, one armoured cavalry brigade, part of Kostrad (one tank battalion, plus support units), 14 infantry brigades (90 infantry, 1 para, 9 artillery, 11 anti-aircraft, and 9 engineer battalions) of which three of the brigades were in Kostrad, two airborne brigades totalling six battalions, also part of Kostrad, one independent tank battalion, 7 independent armoured cavalry battalions, and four independent para-commando battalions. The Indonesian Army is currently organized into 15 military area commands which are spread throughout the Indonesian archipelago. They are placed under the jurisdiction of the army headquarter. Three are based in Sumatra, four are based in Java, two are based in Kalimantan, one based in Lesser Sunda Islands, two based in Sulawesi, one based in Maluku and two based in Papua. 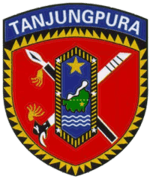 The Komando Cadangan Strategis Angkatan Darat (reserve forces), Komando Pasukan Khusus (special forces) and the Pusat Penerbangan Angkatan Darat (army aviation) are independent formations and directly subordinate to the Chief of Staff. 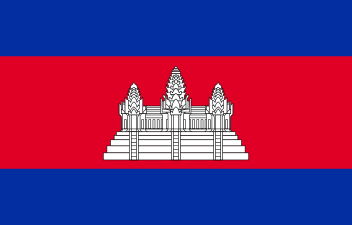 The army headquarters is under coordination with the armed force Headquarters. The most high-ranking officer within the army is the Chief of Staff which has the rank of a four-star General and served under the Commander of the Armed Forces. The Armed Forces' operational sections were established by General Soedirman, following the model of the German Wehrkreise system. 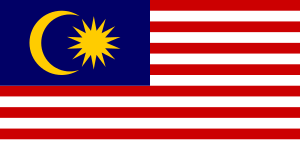 The system was later codified in Surat Perintah Siasat No.1, signed into doctrine by General Soedirman in November 1948. The Army's structure underwent various reorganisations throughout its early years. From 1946 to 1952, the Army was organised into set divisions. These were further consolidated in 1951, and then dispersed in 1952. From 1952 to 1958-59, the Army was organised into seven Tentara & Teritoriums. In August 1958, the Indonesian Army reconsolidated its territorial command. 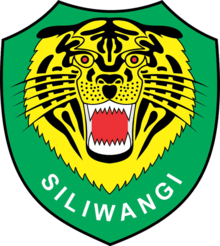 There were then established sixteen Kodams, which retained earlier divisional titles; the Siliwangi Division, for example, became Kodam VI/Siliwangi. A reorganisation in 1985 made significant changes in the army chain of command. 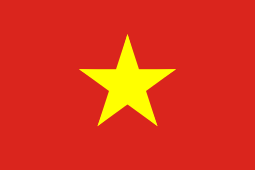 The four multiservice Regional Defence Commands (Kowilhans) and the National Strategic Command (Kostranas) were eliminated from the defence structure, re-establishing the Military Area Command (Kodam), or regional command, as the key organisation for strategic, tactical, and territorial operations for all services. 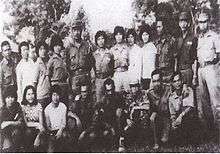 The chain of command flowed directly from the ABRI commander in chief to the ten Kodam commanders, and then to subordinate army territorial commands. Kodam Iskandar Muda (Kodam IM): Headquartered in Banda Aceh, Aceh. The province of Aceh is under the jurisdiction of this territorial command. Kodam I/Bukit Barisan (Kodam I/BB): Headquartered in Medan, North Sumatra. 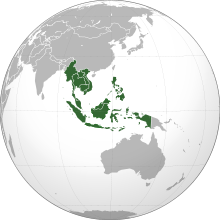 The province of North Sumatra, West Sumatra, Riau and Riau Islands are under the jurisdiction of this territorial command. Kodam II/Sriwijaya: Headquartered in Palembang, South Sumatra. The province of South Sumatra, Jambi, Bengkulu, Bangka-Belitung Islands and Lampung are under the jurisdiction of this territorial command. Komando Daerah Militer Jayakarta: Headquartered in Cawang, Jakarta. The Special Capital Region of Jakarta including Depok and Tangerang are under the jurisdiction of this territorial command. Kodam III/Siliwangi: Headquartered in Bandung, West Java. The province of West Java, excluding Depok and Tangerang, and Banten are under the jurisdiction of this territorial command. Kodam IV/Diponegoro: Headquartered in Semarang, Central Java. The province of Central Java and the Special Region of Yogyakarta are under the jurisdiction of this territorial command. Kodam V/Brawijaya: Headquartered in Surabaya, East Java. The province of East Java is under the jurisdiction of this territorial command. Kodam VI/Mulawarman: Headquartered in Balikpapan, East Kalimantan. The province of East Kalimantan, South Kalimantan and North Kalimantan are under the jurisdiction of this territorial command. Kodam VII/Wirabuana: Headquartered in Makassar, South Sulawesi. The province of South Sulawesi, Southeast Sulawesi and West Sulawesi are under the jurisdiction of this territorial command. Kodam IX/Udayana: Headquartered in Denpasar, Bali. The province of Bali, West Nusa Tenggara and East Nusa Tenggara are under the jurisdiction of this territorial command. The former province of East Timor was also under the jurisdiction of Kodam IX/Udayana. Kodam XII/Tanjungpura: Headquartered in Pontianak, West Kalimantan. The province of West Kalimantan and Central Kalimantan are under the jurisdiction of this territorial command. Kodam XIII/Merdeka: Headquartered in Manado, North Sulawesi. The province of North Sulawesi, Central Sulawesi and Gorontalo are under the jurisdiction of this territorial command. Kodam XVI/Pattimura: Headquartered in Ambon, Maluku. The province of Maluku and North Maluku are under the jurisdiction of this territorial command. Kodam XVII/Cendrawasih: Headquartered in Jayapura, Papua. The province of Papua is under the jurisdiction of this territorial command. Kodam XVIII/Kasuari: Headquartered in Sorong, West Papua. The province of West Papua is under the jurisdiction of this territorial command. Infantry (INF): is the main unit of the army. Is the largest and main combat troops in the army. Kostrad and Kopassus are all part of this unit. In Indonesia there are more than 100 Infantry Battalion spread throughout the country. This unit usually wore a Green beret. This unit is under the Infantry Weaponry Center (Pussenif) which is under the command of a Major General. Cavalry (KAV): is the armored forces unit of the army. Its main function is as a combat support. Cavalry does not just rely on Tank and IFV as a combat tool but also horses specially trained to fight. This unit usually wore a Black beret. The cavalry unit is under the Cavalary Weaponry Center (Pussenkav) which is under the command of a Brigadier General. Field Artillery (ARM): is the artillery unit of the army. It also acts as a combat support similar to the cavalry unit. Its main function is to support ground combat mission for the Infantry unit. This unit usually wore a Brown beret. The Field Artillery unit is under the Field Artillery Weaponry Center (Pussenarmed) which is under the command of a Brigadier General. Air Defense Artillery (ARH): is the anti-aircraft unit of the army. Its main function to defend other ground units from an air attack and help to protect installations from destruction. This unit usually wore a Brown beret, similar to the Field Artillery unit. The Air Defense Artillery unit or Arhanud under the Air Defense Artillery Weaponry Center (Pussenarhanud) which is under the command of a Brigadier General. Engineering (CZI): is a unit whose primary function as a combat support, such as the construction of emergency bridges for vehicles to pass by or converting highways into temporary runways. Another function of this unit is to expand troop movemenst and narrowing enemy movements.Satuan friend and narrowed movements. This unit usually wore a Grey beret. The unit is under the Directorate of Army Engineers (Ditziad) which is under the command of a Brigadier General. Equipment (CPL): is a unit whose main function is the maintenance and testing of military equipment. The unit is under the Directorate of Army equipment (Ditpalad) which is under the command of a Brigadier General. Perhubungan (CHB): is a unit whose main function to deliver and maintain the best possible information to combat units. The unit is under the Directorate of the Army (Dithubad) which is under the command of a Brigadier General. Special Forces Command (Kopassus), est 5,530 divided is composed of five groups, Grup 1/Parakomando (Para Commando), Grup 2/Parakomando (Para Commando), Pusat Pendidikan Pasukan Khusus (Training), Grup 3/Sandhi Yudha (Combat Intelligence), SAT 81/Penanggulangan Teror (Counter-terrorism); plus the Presidential Guard (Paspampres) and headquarters. Each group is headed by a Colonel and all groups are para-commando qualified. Kopassus is known for its roles in high-risk operations such as the Woyla hijacking and the Mapenduma hostage crisis. However, Kopassus is also known for its alleged human right abuses in East Timor and Papua. Army Aviation Command (id:Pusat Penerbangan Angkatan Darat) The army had its own small air arm that performs attack, liaison and transport duties. It operates 100 aircraft in three helicopter and aircraft squadrons composed mostly of light aircraft and small transports, such as the IPTN produced CN-235. Army Strategic Reserve Command (Kostrad), is the Indonesian Army's Strategic Reserve Command. Kostrad is a Corps level command which has around 40,000 troops. 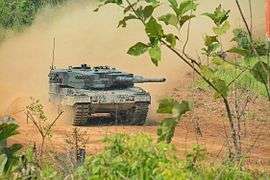 It also supervises operational readiness among all commands and conducts defence and security operations at the strategic level in accordance with policies of the TNI commander. Military Police (CPM): is the administration assistance unit. Its main function is to assist other units in the administration and maintenance of law. This unit usually wore a Light Blue beret. The Military Police is under Army's Military Police (Puspomad) which is under the command of a Major General. Adjutant General (CAJ): This unit's main function is the administration of the military, public and other affairs. The adjudant general unit is under the Directorate Adjutant General of the Army (Ditajenad) which is under the command of a Brigadier General. Logistic Transport (CBA): This unit's main function is to provide services and transport logistic cargo. This unit usually wore a Dark Blue beret. The Logistic Transport unit are is under the Directorate of Logistic Transport (Ditbekangad) which is under the command of a Brigadier General. Topographic (CTP): This unit's main function is to make topographic maps about the battlefield. 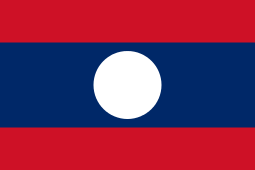 This unit is under the Army Topographic Directorate (Dittopad) which is under the command of a Brigadier General. Health (CKM): This unit's main function is to maintain the health of soldiers. The health unit is under the Army Health Directorate (Ditkesad) which is under the command of a Brigadier General. Finance (CKU): This unit's main function is to foster the financial administration of the army. The finance unit is under the Army Finance Directorate (Ditkuad) which is under the command of a Brigadier General. Law (CHK): This unit's main function is to maintain law and justice within the army. The law unit is under the command of Army Legal Directorate (Ditkumad) which is under the command of a Brigadier General. ↑ For further authoritative details on Kopassus, see Ken Conboy (2003) KOPASSUS Inside Indonesia's Special Forces, Equinox Publishing, ISBN 979-95898-8-6. ↑ International Institute for Strategic Studies, The Military Balance 2008, 382.